Please do more episodes on books like this! I don’t resonate very much with the cultures in my area, but do see how they have had an impact on family and their values. 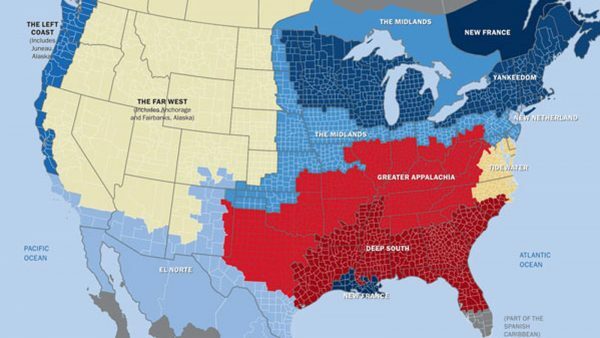 I live at the intersection of El Norte, Greater Appalachia, and the Deep South. Out of these, I think I fit most into the El Norte group, but Midlands values are more aligned with my own. I’m pure Midlander. My mom’s family is from eastern Pennsylvania and my dad’s is from north central Kansas. I relate more strongly to the Kansan expression of Midlander culture since I grew up here. This is also helping me examine my family dynamics as suggested in the podcast. My mom is the granddaughter of German immigrants to Minnesota in the WWII era. This is technically Yankeedom but I don’t see much of that in her other than the value placed on education (she is one of 3 sisters who all were sent to college in the 1960s, seemingly due to their parents’ will rather than their own, and passed similar expectations down to their own offspring). She is definitely not politically progressive but as an enneagram 9 she seems to have aggressively absorbed my Dad’s Appalachian values. I’m just wondering now how relatively recent immigration fits into this model. I suppose immigrants choose the area they come to but they also weren’t part of the organic evolution of the region’s values. I’m inspired to learn more about my great grandparents and the circumstances of their immigration and their experience in Minnesota thereafter. I’ve been percolating on this and it is connecting a lot of the perspectives I’ve experienced in my inner landscape and real time interactions with people. My latest Aha is different people’s approach to health care. Not in the Obama Care/Trump Care sense, but how people engage with providers and mainstream vs alternative vs cutting edge technological therapies etc. Also thinking about people’s perspectives on psychiatry and psychopharmacology, having either stigmatized views of it or openness to it or a tension around it. I haven’t cooked on it enough to have strong conclusions and I haven’t read the book yet, but I feel like Yankeedom has a strong influence in the evidence-based medicine that is the dominant aspect of mainstream medical training over the last 70 years or so, and also a stronghold of psychiatry and expectation that most people in the suburban upper-middle class does well to be in therapy and on prozac without stigma. 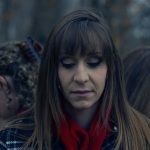 I feel like Far West and Appalachia may be more prone to reject mental health intervention and even other mainstream medical intervention, avoiding the doctor’s office and preferring to take life on their own power as pioneers and settlers of mountain country have had to do for generations. Left Coast is both cutting edge tech and alternative medicine influenced it seems. Deep South probably prefers to go to every length to have thorough workup with the most established methods but that can be inappropriate use of resources (unnecessary tests like MRIs etc.). El Norte and First Nation more alternative and naturopathic/holistic influences most likely. Others I don’t have a clear enough beat on to comment about. Anyway, this will definitely be on my mind as I interact with patients in the future here in LA where probably half of my patients have moved here from all other parts of the North America well into adulthood. As a different slicing of the US populace along political lines, there was a details study on ‘political tribes’ in the US referred to by David Brooks recently (https://www.nytimes.com/2018/10/15/opinion/politics-race-white-tribalism.html). The 160 page pdf report (https://hiddentribes.us/) clusters seven distinct tribes with the more extreme liberals and conservatives bracketing a majority that is less extreme. The extreme “wings” seem to dominate power structures, media airplay, and public political discourse will the middle is much less represented even though it is ~70%. I’ve often thought along these lines without the definitions supplied here, so this brings a lot more clarity to my thinking. My own family background is a raucous mix of Tidewater, Midlands, Deep South, and Greater Appalachia, with Midlands perhaps as driver and Greater Appalachia as co-pilot (to borrow the Car Model), even though I was raised on the Left Coast but moved as a young adult about an hundred miles eastward to the Far West. (I’m really looking forward to Part 2, and of course to getting the book.) Where it gets most interesting for me is in dealing with the differences in outlook between myself and my later-in-life Texan wife (we both live in California now). She is still charmingly proud of being a Southerner, though her personality is, according to Woodard’s description, strongly Greater Appalachian. She was raised in North Texas, so this actually makes sense — she just doesn’t know it. Early on in our marriage, I lived with her near Dallas, and the “Bible Belt” culture I witnessed there (so unlike California) was not at all like the Deep South culture described toward the end of the podcast, but much more like the Midlands culture as Joel spoke of it, including the exclusion of drinking alcohol from many places. Another major impression this podcast left with me is a better insight into how to reconcile some of the discrepancies between what many of my more ‘patriotic’ friends seem to be so sure of regarding the innate goodness of America, and contradictions evident in our history, especially our treatment of the nations who were living here in natural prosperity before Europeans “discovered” this land. Without getting into all the rights and wrongs on all sides, it helps to see it as something a good deal more complex than how our Yankee educational system has portrayed it for so long. Interesting that your impression of Dallas was a more Midland flavor. Some of Texas falls in the Midlands, but north of Amarillo. That said, the impression I got from the book is that the Midlands is slowly taking over bordering areas. For example, Tidewater is declining and being consumed by the culture. Like Clifford, I look forward to the discussion of the Far West. 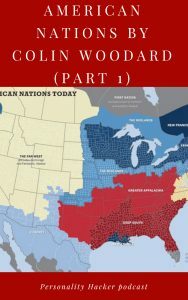 I haven’t read American Nations, but have been involved in some discussions about it with friends. I live in Utah which is kind of unique and I would say breaks the mould somewhat of the Far West narrative. There is certainly a strong puritanical culture here (the early Mormon leaders were from Vermont and New York), but the population is also antagonistic to the federal government because of land use fights and a history of federal army occupation. Maybe this is discussed in the book. This has been an excellent episode. Woodard mentions in the book that there are some pretty distinct subcultures within those 11 nations, the Utah LDS culture being one of them. He indicated he had to draw the line somewhere so that the book wasn’t a thousand pages long. I’d be super interested to hear about those subcultures should he want to write a follow up book, tho. This concept makes a lot sense. In general, I’ve increasingly noticed that there seems to be distinct American cultures even just among White Americans, but I’ve had time putting my finger on some of them. Or even the different versions of political ideologies. Liberals of the Left Coast seem different than those of Yankeedom who seem different than those of New Amsterdam. The conservatives of the Far West seem to be a different sort of conservative than those of the Deep South who seem different than those of Greater Appalachia. I’m glad to see a scholar has already fleshed this cultural concepts out. Personally, I live in an area that would be considered part of the Far West, but though I was born and raised here, it has never quite felt like home. I’ve come to the conclusion that it’s because there is a definite culture difference (I minored in Intercultual studies and have traveled a fair bit so I tend to think about things from a cultural perspective anyway). The source of the culture difference being that both of my parents are from “the midlands”. On my father’s side, we’re part of that old Pennsylvania Deutsch that eventually made their way to Ohio and Indiana (now we’re all over the country). I sus your description of the Midlands definitely resonates with what I see in that culture and partially in myself; although I suspect I’ve become quite cross-cultural, I look forward to hearing your summary of the Far West to see how much of that resonates as well. 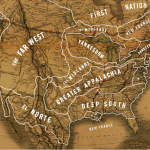 I understand that – I feel like a crazy mishmash myself of El Norte, Left Coast (which combines Yankeedom and Greater Appalachia) and the Far West. The cultures I have the most trouble wrapping my head around (but not due to a lack of familiarity) are where I currently live – Midland and Tidewater areas – and the Deep South (when we snowbird to Florida each year). I’m eager to learn more about New France since those are some of the only parts of North America I haven’t visited. I was able to become familiar with First Nation when I lived in Alaska, which was cool.